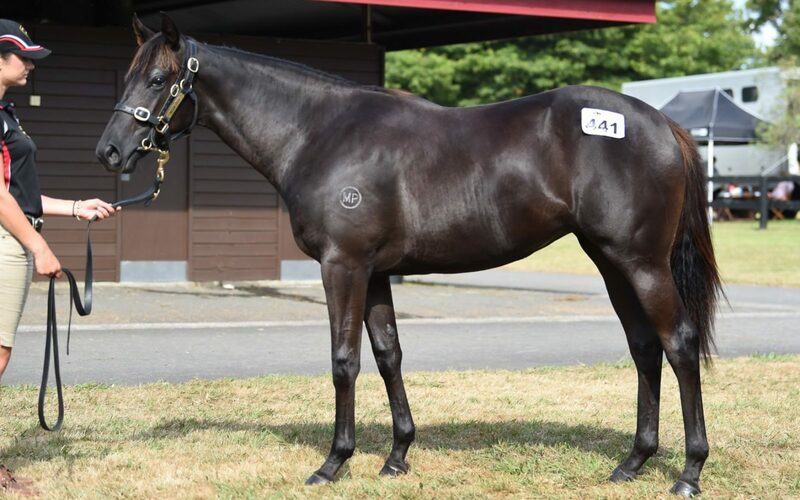 “We’re enjoying great and continued success with the progeny of Savabeel and this filly is from a family that can leave early and precocious types,” Ellis said. Her dam, Stylee, by award winning stallion Pins (twice NZ leading sire for global progeny earnings), is a beautifully bred daughter of multiple stakes performer Arletty (Centaine), who won eight times including the Wilkinson Mile (Gr. 3, 1600m) and Ra Ora Stakes (Gr. 3, 2000m), both at Ellerslie, the Villiers Stakes (Gr. 2, 1600m) at Randwick, and the Queen of the Turf (Gr. 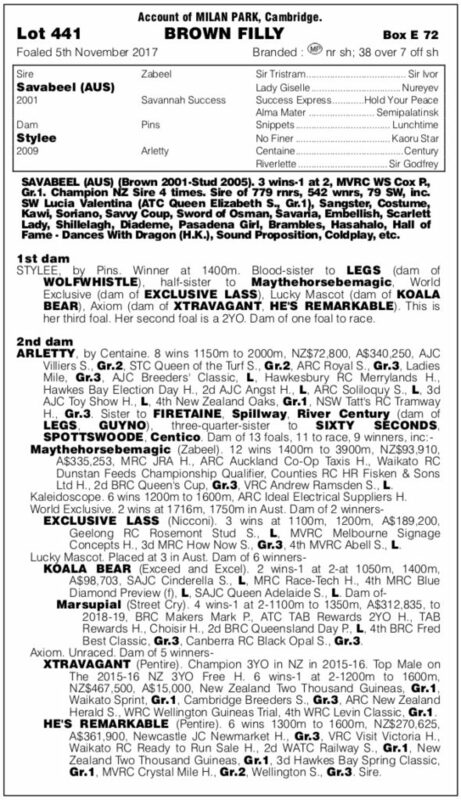 2, 1500m) at Rosehill. The family comprises horses the calibre of Xtravagant (Pentire), He’s Remarkable (Pentire), Legs (Pins), Guyno (O’Reilly), Sixty Seconds (Centaine), and Spottswoode (Centaine). “She’s a medium sized filly that walks well, has a good head, plenty of quality about her, and typical of the Savabeel’s she has a very good cross, being out of Pins mare,” Ellis said.